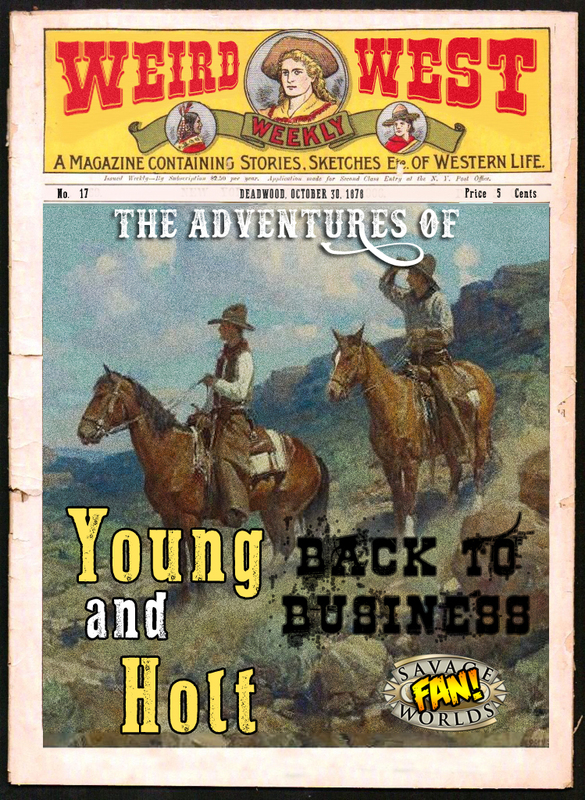 In this issue, Young & Holt wrap up their affairs in town – Joshua agreeing to find Sylvia’s brother Francis in Fargo, and Porter receiving one last gift from H.B.. Then it’s back on the trail to Fargo and the rescue of Porter’s friend Regina, but with a stop for some help in the town of Ortonville, that our heroes hope will be brief. And a special note – the next few issues have a guest appearance of someone from Joshua’s past. He goes by the name of Saul. Oh, and one last thing. Stick around until the end of this issue. There may be something waiting for you. If you are interested in the source material for the “Snake Oil” give by H.B. click here.